Ellen Brittingham Nock, born in Norfolk, Virginia, grew up on Folly Farm in Accomack County, Virginia, happy to be playing in the woods and looking for treasures on beaches of the nearby Barrier Islands. She graduated as valedictorian from Accomac High School in 1946 and from Randolph Macon Woman’s College in 1951 with a degree in English. She married Lt. William Long Nelson in 1951 and spent more than 23 years as an Air Force wife and mother, living in locations as diverse as Mississippi, Arizona, Washington State, Virginia, Japan, Louisiana, Canada, and South Carolina. In many of the places they lived, she and Bill enjoyed being on the water, boating, scuba diving, and fishing, often with their children when the kids were young. Ellen always had a sturdy pair of binoculars around her neck, on the lookout for birds to add to her ever-growing life list, or just to watch. When Bill retired as a Colonel from the Air Force in 1974, the family returned to the Folly Farm, where the Nelsons finished raising their five children. Ellen loved living there, watching baby eaglets nesting in tall pines, fishing, attending Drummondtown United Methodist Church in Accomac, and traveling frequently in their cabin cruiser and all around the country with Bill in their motor home, which they dubbed “the box.” She always had crossword puzzles and a pencil on the kitchen table and near her spot in the den. She has always been big into recycling, even before it was the thing to do. She could often be found collecting aluminum cans that she turned in for money, which she happily donated to her church. 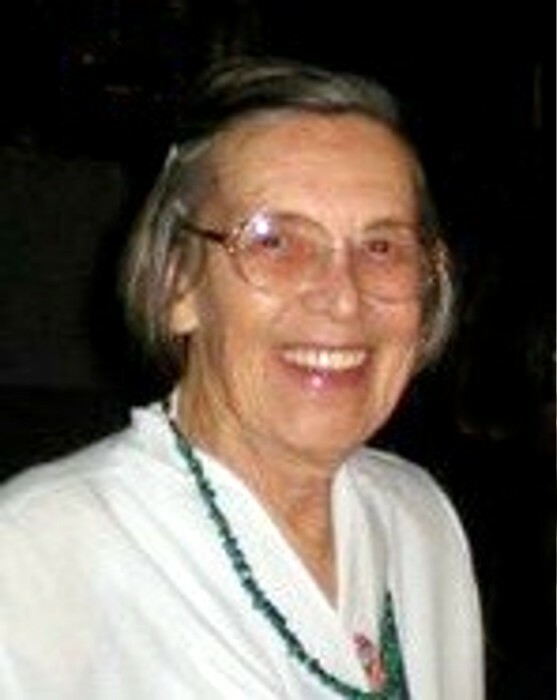 She was blessed with the deep love and true friendship she had with Bill for almost 60 years, until his death in 2009. She will be remembered as a mother for being quietly strong and organized, for her gentle sense of humor, strong will, generosity and love of family. Ellen was preceded in death by her parents, Levin Floyd Nock, Jr. and Cora Byrd Nock; her two brothers, Levin Floyd Nock III and Samuel Ames Nock; and a nephew. She is survived by her children, William Long Nelson Jr. (Colette), Elizabeth—aka Gussie—Byrd Nelson Fauntleroy, Virginia Nelson Snyder (Kurt), Lt. Col. Samuel Floyd Nelson, ret. U.S. Air Force (Jackie), and Richard Paul Nelson (Amy); six grandchildren and one great-grandchild; as well as two sisters-in-law, four nephews and one niece. Ellen will be greatly missed. Funeral services will be conducted from the Drummondtown United Methodist Church, Sunday, February 10, 2019 at 2:00 p.m., with The Reverend Bill Greer officiating. Interment will follow in the Edgehill Cemetery in Accomac. Memorial donations may be made to the Drummondtown UMC Memorial Fund, P.O. Box 267, Accomac, VA 23301.